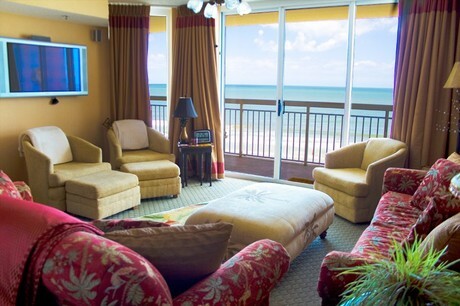 North Myrtle Beach is famous for its family beach atmosphere, fishing piers, and wide stretching beaches. The city offers a great variety of dining options, attractions, and shopping, and is located just a few minutes north of the heart of Myrtle Beach. From year-round festivals, exciting dinner shows, amusement parks, an abundance of championship golf courses, and many other family fun activities, there’s always something to do here! Condos are a very popular choice for accommodations among visitors and buyers, and can be found in the form of high-rise condo resorts, waterway view villas, and golf course condos. From budget friendly to luxury, the choices in each category are endless, ensuring there truly is something for everyone in this one of a kind beach destination.